A gem that crosses genres successfully and allows you to play how you want. Human Revolution has the RPG elements to give you choice and develop your protagonist, then you get the combination of stealth and shooting action in a package where it all works together to amaze you. 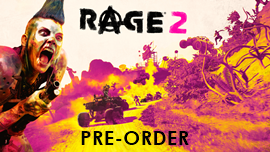 The rich experience, strong characters and great design will get the praise, but the real heroes here are David Anfossi and the rest of the talented crew that put this one together – their skill and passion to masterfully create something unique this gen is worthy of the highest praise. 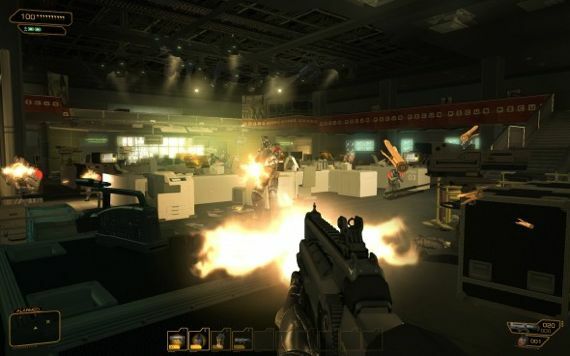 Deus Ex: Human Revolution‘s is the latest in the series which first won fans over 11 years ago on PC. 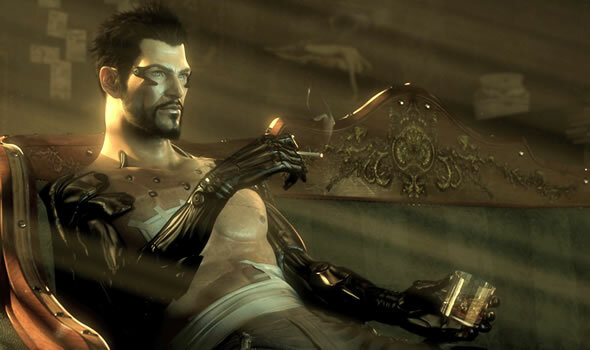 Adam Jensen is a security specialist in 2027 who was chosen to defend Sarif Industries, a biotechnology firms. Jensen uses the augmentation technology to make himself a powerful and stealthy weapon. You will need to protect the scientists working on the futuristic augmentation tech which turns humans into super-enhanced beings. The problem is the technology could also be exploited for causes that are not so wholesome, and someone is working very hard to ensure mankind’s evolution follows a particular path. Your decisions and the choices you make will have a great effect on how things fold out in the sci-fi world of Deus Ex: Human Revolution. Human Revolution, as mentioned, combines RPG elements with action – you have choices to make which takes the story in the direction you choose. You also have to build up you augmentation powers which progresses depending on the XP or ‘Praxis Points’ you gain for navigating through the missions in certain manners – i.e.. you are rewarded for how ‘stealthy’ or ‘aggressive’ you were amongst other aspects to help you progress your character. Human Revolution allows you to play the game how you choose – allowing you to go completely unnoticed or in a more aggressive manner. You play in first-person view and go into third-person when you go into cover. There is plenty of stealth involved so cover is a big part of your gameplay. You can even use objects by moving them around and placing them where you need them to further help you navigate through the mission. The game rewards ‘thinking out the box’ and the obvious path is not always the best. But you have complete freedom in how you tackle the mission. A load of futuristic weapons are available but if your approach is a stealthy one, you can choose to just melee your target quietly by knocking them out, or if no-one is near, the more aggressive option is to use your augmentation. Choose your takedowns carefully as not to alarm any nearby guards – again, only if that’s your chosen approach. If you want to go in all ‘Chuck Norris’ and mow everyone down, that’ll work too. 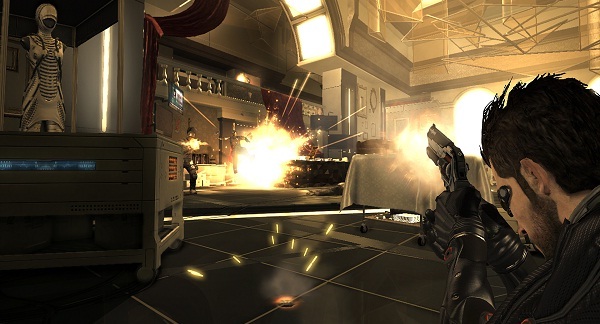 Deus Ex: Human Revolution’s RPG elements extend to how you interact with people along your way. You can engage with people who may or may not have an active role in the story. You can also interact with objects like PC’s or futuristic tablets which can provide worthy information, some will need to be hacked. Fortunately, in my opinion, Human Revolution’s RPG elements are not as deep as a thoroughbred RPG game, so you can keep the stunningly interesting story (and action) flowing. Even though you can tinker in your menus with the augments and other elements, you shouldn’t spend most your time in the menus. The control layout is easy to use, well designed and for the most part fluid. In the opening missions, tutorial videos pop up as you need to be taught on how to use your more technical aspects. Your control options are vast and designed to give you the freedom of tackling the mission as you want. As briefly mentioned, the cover system is a big part of the game and here you are able to move around the stage while staying in cover. You basically hold down the LT and move in the direction you want. You can then ‘jump’ from your cover point to the next by holding down the A button. You can fire from the hip when in cover or peer around or over the object and zoom in for better accuracy. The shooting mechanics, like the rest of the controls, are fluid and as good as most shooters. You can power-up or augment your aiming and your Dermal shielding if you’re the trigger-happy type, or you build up your strengths to suit a stealth approach – the latter can be developed by augmenting skills accordingly. Lastly, to coincide with the RPG elements, you can develop your conversation skills to be more influential (like any good RPG). Influencing people can help attain information that your ‘Chuck Norris approach’ might not… so the freedom is yours, for everything! 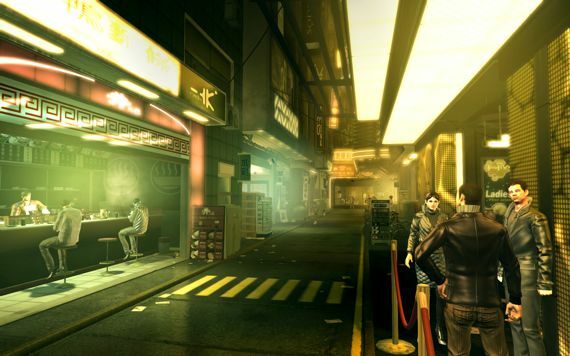 Deus Ex: Human Revolution takes place in the future, spanning from a hi-tech Detroit to China and the settings are brilliantly designed to give that ‘futuristic sci-fi’ look. The use of colour (gold and shades thereof), clever lighting, sharp graphics and textures are all well chosen to give Human Revolution an authentic and engrossing world – one of the best I have played. Characters and their animations are of the very best, again further engrossing you with the rich story and should leave a lasting impression. Then there are the absolutely stunning cinematic scenes – flawless, epic and dramatic. The presentation is crisp, neat and while you have plenty of menus and sub-menus to navigate, you will do so with ease. The soundtrack and sounds of Human Revolution are some of the titles’ most outstanding features. From the opening scenes to your first encounters with the cast, you are grabbed by the drama and so a special mention must go to the sound designers, Steve Szczepkowki and Michael McCann who scored the title,. An orchestral and dynamic soundtrack will keep you on the edge of seat. The voice-acting is amongst the best, further adding to the dramatic experience. Adam’s gruff voice suits his ‘cool badass’ stereotype and there are many characters that will long be remember thanks to flawless voice-acting. 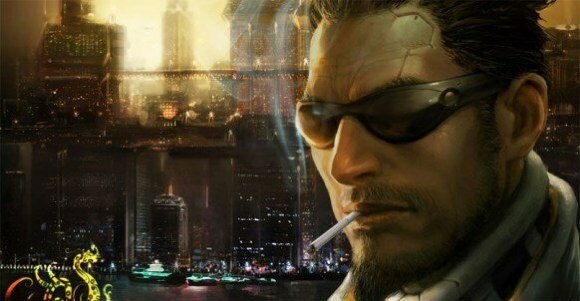 Deus Ex: Human Revolution speaks volumes for Eidos Montreal and the teams’ passion and skill. 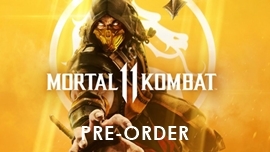 The game will have you engrossed and its crossing of genres is a breath of fresh air this far into the current generation when we thought we had seen everything. It is a memorable gaming experience thanks to its quality, how you engage the story, the strong characters and the exceedingly interesting storyline. Easily one of the best games I have ever played. Read about our ratings here.